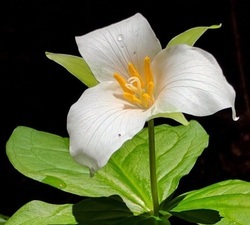 Relaxing into ourselves, exactly as we are in the moment, is a key orientation in the Trillium Path based on the premise we are already fundamentally whole. Relaxing helps us unwind from chronic hypermasculine striving. Daring - equally important - allows us to occupy more dimensions of our total Being and discover inspired action. In this workshop we will use creative processes to help us relax, listen to, and welcome ourselves deeply. We will also use them to dare to know, embody, and express our truth to ourselves and others in a safe, playful environment. Skills that you learned in kindergarten will be employed. No previous experience, or identity as an "artist," is necessary. This interplay between relaxation and daring creates a spiral of unfolding, allowing what no longer serves to fall away, inviting deeper resting in consciousness and embodiment, and more authentic relating in mutuality. This workshop will be useful regardless of where you are in your awakening process.